With respect to the prime minister’s remarks about a so-called salvation government, that is not something that I discussed with (Maliki). That is not something that was on the table in the context of our meetings while we were there. In fact, there was no discussion that I had with any of the leaders there regarding a so-called salvation government. And I’ve heard reports about it, but I’m not sure exactly what it is that he rejected or spoke to. What I do know is that in the prime minister’s remarks today he did follow through on the commitments that he made in our discussions. He clearly committed to completing the electoral process, he committed to meeting on the 1st of July and having the Council of Representatives come together, and he committed to moving forward with the constitutional processes of government formation. And that is precisely what the United States was encouraging. He also called on all Iraqis to put aside their differences to unite in their efforts against terrorism. That is also what we had discussions about. 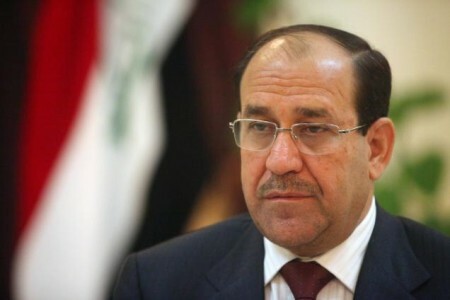 Prime Minister Nuri al-Maliki, in a televised address on Wednesday, has rejected efforts for an “emergency” government. The call to form a national emergency government is a coup against the constitution and the political process. 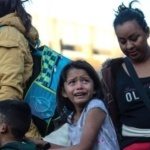 The dangerous goals of forming a national emergency government are not hidden. It is an attempt by those who are against the constitution to eliminate the young democratic process and steal the votes of the voters. Maliki’s speech comes two days after he met US Secretary of State John Kerry, who met Iraqi political leaders in pursuit of a new Government. The Prime Minister’s won the most seats in April 30 Parliamentary elections, but did not gain a majority and has been unable to form a coalition. The Parliament is still suspended. Sources tell Rudaw that the US had asked that a KRG (Kurdistan Regional Government) delegation, to include Prime Minister Nechirvan Barzani and former premier Barham Salih, travel to Baghdad to meet with Kerry’s visiting delegation. According to a statement posted on the Kurdistan Presidency website, Barzani told Kerry that Kurds would no longer be willing to bow to Baghdad. “We believe that Baghdad is trying to marginalize us, as was the case with the previous regime, but the people of Kurdistan have made great sacrifices for their freedom and they would never accept this subjugation,” said a statement quoting the Kurdish president…. In Erbil, unlike previous meetings, where the Kurdish president would speak with senior foreign officials alone, the meeting with Kerry demonstrated stronger Kurdish unity: Leaders of the Patriotic Union of Kurdistan (PUK) and the Change Movement (Gorran) also got a chance to speak with the US secretary….. The Kurdish president also reaffirmed that, while the Kurds are committed to fighting terrorism, they will not be dragged into a sectarian war under that pretext. The Kurds said, ‘no,’ according to the source, who did not want to be identified. Insurgents took over three small oilfields at the Ajeel site, 30 km (19 miles) east of Tikrit, on Wednesday. The site produces about 28,000 barrels per day. An engineer said local tribes had taken responsibility for protecting the oilfields after police withdrew, but they left after the nearby town of al-Alam was seized by militants. Ajeel is connected to two pipelines, one running to Turkey’s Ceyhan port and the other to the Baiji oil refinery, most of which has been seized by insurgents. Iraqi reinforcements have flown into the compound by helicopter to try and prevent a surrender of the complex, 130 miles north of Baghdad. Local tribal leaders said they were negotiating with both the Government and insurgents to allow the tribes to run the plant if Iraqi forces withdraw. Claimed video show homes destroyed by Iraqi barrel-bombing of Baiji, which was seized by insurgents last week. The airstrikes also tried to check the insurgent takeover of the nearby oil refinery. Insurgents have surrounded one of Iraq’s largest air bases, near Yathrib, 90 km (56 miles) north of Baghdad. The fighters battled Iraqi forces overnight in the town. They hit the base, known as “Camp Anaconda” under US occupation, with mortars. As the politics continues around the insurgent offensive and the fate of the al-Maliki Government, stories of civilian flight from Iraq are building. This is the third exodus for my family within the last eight years. I had to flee to Kirkuk in 2006 to escape the sectarian fighting after the attack on the shrines in Samara. Two years later, I had to run to Syria because of the death squads. And now, I’m taking my family to Turkey because of the militias and rebels and I won’t come back at all. I live in a very risky area in Baghdad and every day you hear someone is kidnapped by the militia. The militias are working with the military forces and chasing people to kidnap them. The Imam of the mosque in my neighbourhood was taken two days ago with 20 men who were praying with him. We still don’t know what happened to them. My cousin warned me not to go to the mosque any more. The Righteous League (a Shia militia) are deploying heavily in different areas of Baghdad and it is hard to escape them. People are so scared and desperate to leave the country as soon as possible. They are ready to pay any price to get the ticket in time…. Most of the people are heading to Lebanon and Turkey because they can get the visa at the airport, but 5-6 flights also head to Irbil and the same number to Turkey and Georgia. Mass killings in the capital have not been reported in recent days, although there have been cases such as the discovery of the bodies of a family of six and deaths from bombings have risen. However, elsewhere the systematic execution of civilians is occurring. At least 70 civilians have been slain, with many more missing, in four Shia Turkmen villages near Kirkuk. The United Nations says 1,075 deaths by violence have been documented in June. Iraq Body Count, which has monitored casualties since the 2003 Iraq War, has the much higher figure of 3,076, a trebling of deaths from May. The United Nations estimated that 500,000 Iraqis have been displaced since insurgents took Mosul and Tikrit two weeks ago. About half of the 300 American forces promised by President Obama have arrived in Baghdad. Rear Admiral John Kirby said two teams of special forces and about 90 advisers, intelligence analysts, commandos and support personnel had begun advising the Iraqi military and setting up a joint operations center. Another four teams of special forces are set to arrive in Baghdad in the next few days. Without the formation of a government, without an adequate transformative decision by the leaders of Iraq, anything that the United States or others or allies or friends would do to try to fight back is going to be limited, if not impossible. PreviousSyria Daily, June 25: Did Regime Warplanes Strike Inside Iraq?